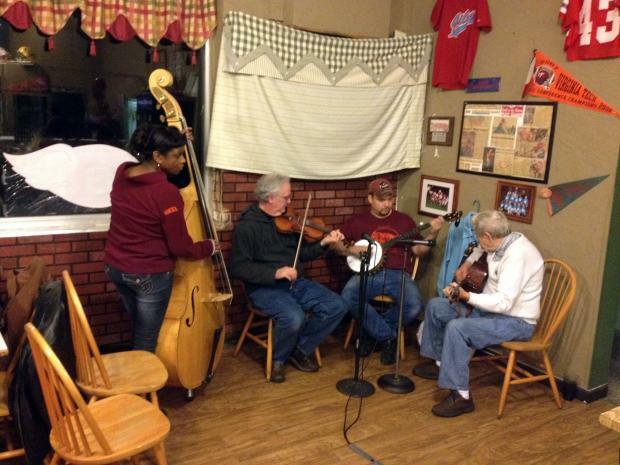 The Giles Mountain String Band performing on the WNRV New River Valley Jamboree show at the Old Virginia Smokehouse on 1/26/13. This show was recorded live and then broadcast on WNRV, you can download entire show podcast. Angie Via (bass and vocals), Bill Blevins (fiddle), ChrisVia (banjo and vocals), and Dean Reed (guitar and vocals).